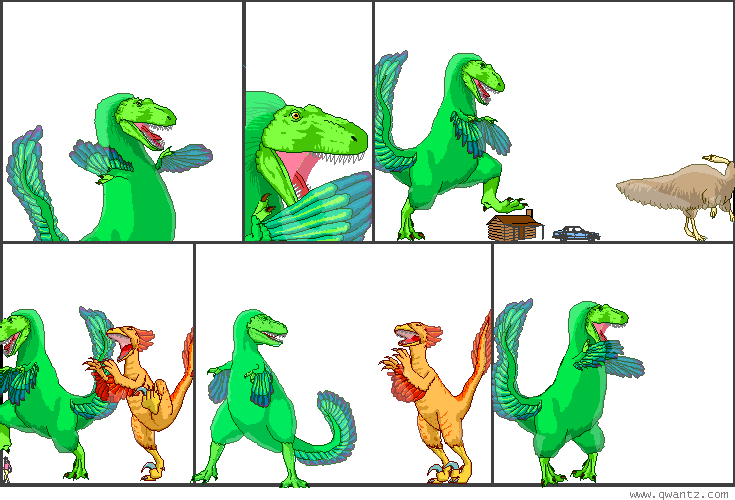 Dinosaur Comics - January 11th, 2011 - awesome fun times! One year ago today: that dash in "IMPOSSIBLE" in panel 5 was meant just to get the text to fit better, but it also works for emphasis. the written english language, ladies and gentlemen! ALWAYS FULL OF SURPRISES.